My answer to the question asked in the title of this blog, is there would not! The tiny sculptures pictured above were found in Israel and help us answer that question as they may very well be early images of a “Mr. and Mrs. God,” who were both worshipped equally in our ancient history. I am an avid follower of the writing of the Hebrew scholar Zecharia Sitchin who’s first book created a massive paradigm shift entitled, The 12th Planet. 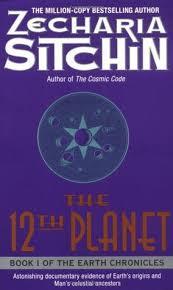 The 12th Planet was published in the late 70’s and like many other of Sitchin’s books virtually changed my life and filled in so many blanks in my personal belief systems.